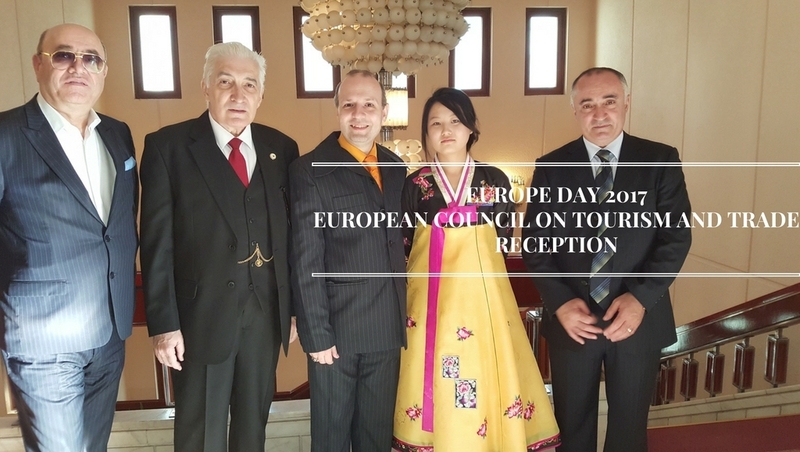 The 2017 European Day ceremony was officially opened with the traditional cake-cutting by President Professor Dr. Anton Caragea together with Academician Mircea Constantinescu, and High Commissioner for Tourism, Mr. Mark Doda as well as all ECTT accredited ambassadors in Bucharest. The guests where welcomed on the premises by H.E. President Dr. Anton Caragea, European Council on Tourism and Trade leader who seized the moment to make a presentation of Europe`s role in today`s world.